I love the Mac Pro. I love its simplicity and its ingenious engineering. And I would like it even more if it were encapsulated in glass, like in these 3D renderings created by our friend Martin Hajek, who painstakingly modeled its guts following Apple's transparent prototype displayed at WWDC 2013. Of course, there a couple practical issues here. Glass is, in general, an insulator. It would not be good for what's basically a very powerful portable heater. On the other hand, there is glass with special formulations that can conduct heat, so maybe that can be worked out. The main problem, however, would be a visual one. 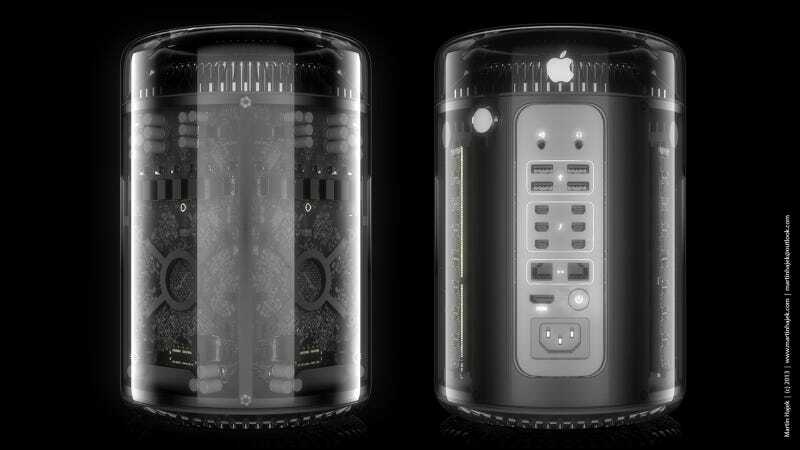 Your glass Mac Pro would look like crap in a few months. As anyone who has opened a computer knows, electronics attract dust. Sometimes, they get even worse things. I still remember this fly that got stuck into my original Apple 23-inch Cinema Display, made of transparent lucite. It died and stayed inside one of its hollow legs for days, until I was finally able to remove it. Gross. 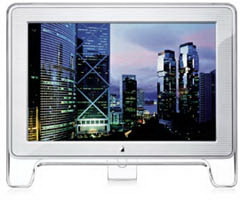 This was, in fact, one of the problems with the candied iMacs, including the original Bondi iMac, but especially with the fully transparent ones. They would start to gather dust and would end up looking like crap after a year. But out of the box? This glass Mac Pro just looks absolutely Star Wars droidtastic.